I am writing a ray tracer with ABAP by studying the book “Ray Tracing from the Ground Up“. A ray tracer is able to create computer generated imagery. If you like to know more about my motivation behind this endeavour, check out my first blog. In my third blog I assembled the various classes converted from C++ and made the ray tracer run for the first time. The result was a red sphere, which I was able to display on a dynpro screen with the help of the auxiliary class ZCL_ART_BITMAP. In this fourth blog I am going to enable my ray tracer to render multiple objects. It was and still will be necessary to convert C++ methods to ABAP while working with this book. 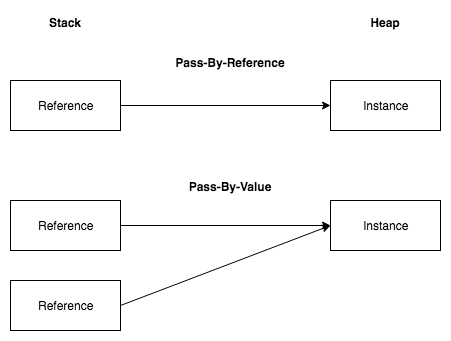 Because I felt not as confident with the conversion, I looked deeper into the topic of method parameter passing. I am going to share my findings with you here. To render multiple objects with my ray tracer a couple of adjustments had to be made. METHOD trace_ray. DATA(shade_rec) = _world->hit_bare_bones_objects( i_ray ). IF shade_rec->hit_an_object = abap_true. r_color = shade_rec->color. ELSE. r_color = zcl_art_rgb_color=>new_copy( me->_world->background_color ). ENDIF. ENDMETHOD. METHOD hit_bare_bones_objects. DATA: t TYPE decfloat16, tmin TYPE decfloat16 VALUE '10000000000'. r_shade_rec = zcl_art_shade_rec=>new_from_world( me ). LOOP AT _objects ASSIGNING FIELD-SYMBOL(<object>). <object>->hit( EXPORTING i_ray = i_ray IMPORTING e_tmin = t e_hit = DATA(hit) CHANGING c_shade_rec = r_shade_rec ). 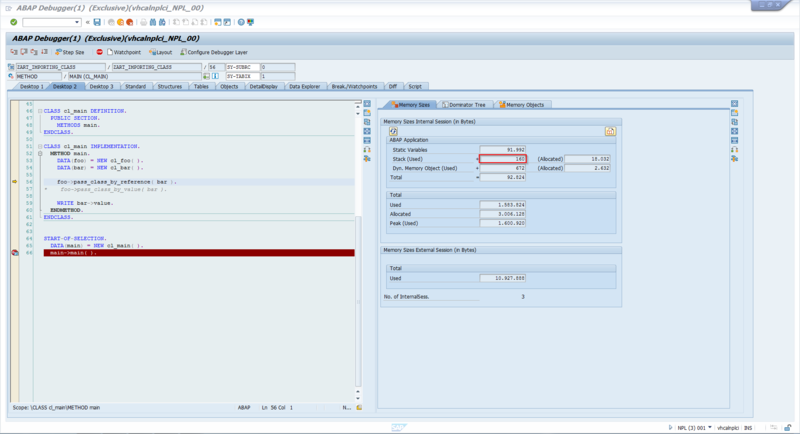 IF hit = abap_true AND ( t < tmin ). r_shade_rec->hit_an_object = abap_true. tmin = t. r_shade_rec->color = <object>->get_color( ). ENDIF. ENDLOOP. ENDMETHOD. This code cycles through all the objects in the scene and returns the hit point which is closest to the “camera” via a shading record instance (shade_rec). These were the two main ingredients to the feature. I was able then to create and position as many objects as I liked. But after some time playing around with this new possibility, I realized how exhausting it is, doing all that manually myself. So I thought, why not use a black and white mask to decide where to put spheres and let the computer create and position them for me. The knowledge, that I gained from outputting the rendered image as bitmap to the dynpro UI, helped me a lot in this matter. I brought some variance into the game, by randomizing the spheres sizes and colors and how many pixels I am sampling. I assembled the results in an animated gif for you, so you can better see how the mask and the altering of certain parameters affected the outcome. The images consist of up to 1000+ spheres and the rendering time went up to over an hour due to the inefficacy of my current geometry handling. I am realizing, that writing blogs is dramatically improving the quality of my ray tracer. It takes a lot more time and effort to really get the content of my blogs straight. An initial idea, like “ahh let’s write a bit about method parameter conversion from C++ to ABAP” explodes into a scrollbar which suddenly carries from here to the moon and back. Often this in-depth examination results into an issue ticket or more being created in gitHub to improve my ray tracer. Translating method signatures from C++ to ABAP is something I continuously need to do while working with the book. There are plenty of keywords used in a method declaration, which can influence the behaviour in subtile and/or significant ways. In this blog I am going to concentrate on parameter passing, as otherwise this article goes out-of-hand (again). Keywords like IMPORTING, EXPORTING and so forth describe the role and changeability of a parameter passed to and used by a method. These keywords are often not as explicitly articulated in other programming languages. The common categories are more often referred to as input, output or input-output parameter. The following table maps, for the sake of completeness, the common categories to the ABAP keywords. C++ supports three ways of passing parameters from the caller into a method: by value, reference and pointer, while ABAP supports two: by VALUE(...) and by REFERENCE(...). One lesson I learnt was the following: If in C++ neither a reference nor a pointer parameter is used, then I have to implement pass-by-value instead of pass-by-reference. From an ABAP perspective I then explicitly need VALUE(...) instead of REFERENCE(...). const is a keyword which tells the compiler, that the parameter cannot be changed – is constant. There are exceptions from this rule, but I will not dive into these here. It’s even possible in C++ to return a constant value from a method, which cannot be changed afterwards. An output or input-output parameter can never be const. An input parameter should be const, but that is not enforced by C++. The void keyword lets you instantly know, that this method doesn’t have a returning parameter in stock. If anything else than void is specified before the method name, I have my return type and know that a returning value is needed. Seeing const in the signature is an explicit indicator, that the parameter is an importing parameter. Cause in C++ the keyword const guarantees that the parameter cannot be altered by the method. However, if the developer got sloppy, then even without the const, the parameter might be an importing one. "Pass-By-Value METHODS foobar IMPORTING VALUE(i_value) TYPE int4. "Pass-By-Reference METHODS foobar IMPORTING REFERENCE(i_value) TYPE int4. "Pass-By-Pointer "Doesn't exist in ABAP. Same approach like Pass-By-Reference taken. The ampersand (&) or star (*) without the keyword const can be an exporting parameter, but you need to check inside the method, whether more than assignment is going on in there. "Pass-By-Value METHODS foobar EXPORTING VALUE(e_value) TYPE int4. "Pass-By-Reference METHODS foobar EXPORTING REFERENCE(e_value) TYPE int4. "Pass-By-Pointer "Doesn't exist in ABAP. Same approach like Pass-By-Reference taken. Very similar to Exporting, I need to make sure that beside an assignment also the parameter value is used within the method. "Pass-By-Value METHODS foobar CHANGING VALUE(c_value) TYPE int4. "Pass-By-Reference METHODS foobar CHANGING REFERENCE(c_value) TYPE int4. "Pass-By-Pointer "Doesn't exist in ABAP. Same approach like Pass-By-Reference taken. When plotting this blog, I found very confusing to view the pass-by types and parameter types in conjunction. Especially, the pass-by-value of a parameter which refers to a class. The C++ code above invokes the copy constructor. The method receives a copy of the instance. 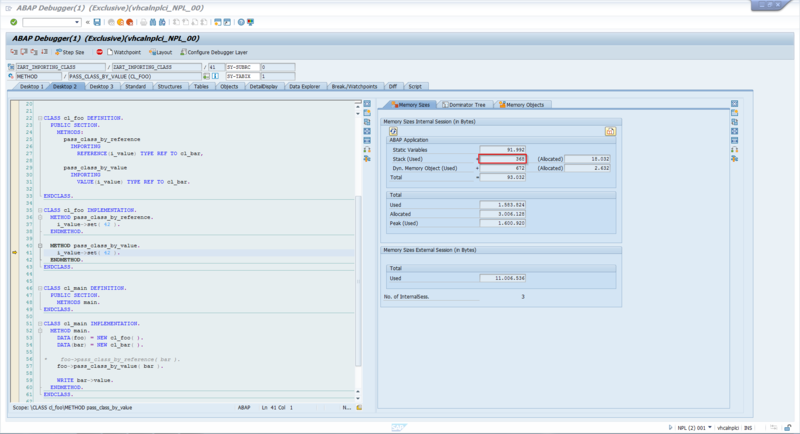 Passing instances by value is not possible with ABAP. Only a copy of the reference to the instance can be passed. Meaning, if I want a copy of the instance, I need to create it beforehand by my own. But I wondered, is there a difference in ABAP between passing by value and passing by reference of instances? CLASS cl_foo DEFINITION. PUBLIC SECTION. METHODS: pass_class_by_reference IMPORTING REFERENCE(i_value) TYPE REF TO cl_bar, pass_class_by_value IMPORTING VALUE(i_value) TYPE REF TO cl_bar. ENDCLASS. Yes: Pass-by-value consumes in my example 16 bytes more memory than pass-by-reference. choose “Open image in new tab” to see them in appropriate size. I assume that the 16 bytes are used to initiate a second reference on the stack memory, as illustrated below. This blog concludes chapter 3 of the book. My ray tracer is now able to render any number of objects. It doesn’t need to be spheres, it just needs to inherit from zcl_art_geometric_object. This was achieved by implementing a new tracer (zcl_art_multiple_objects). Now I am also more confident in translating C++ method parameters to ABAP, after studying the behaviour when passing variables into methods with both languages. I will need to keep an eye open for pass-by-value of class instances, as this triggers the copy-constructor in C++ behind the scenes, which doesn’t exist in ABAP. I will start implementing anti-aliasing to my ray-tracer in the next blog. This will help with getting smooth edges instead of the jagged edges.